You know your customers best. Our forecourt solutions give you the power to connect with them while they pump gas, through customized and personalized content that drives them inside your store. And with options that are easier to maintain and update, and that are EMV ready, your investment will be futureproofed for the long haul. Use our cloud-based systems to access, manage and remotely control the content and services you provide to your customers while they fill up. You can now own and drive the experience. Create additional revenue streams by offering services, goods, promotions and more to customers while they fuel up outside the store, as well as while they’re inside the store. 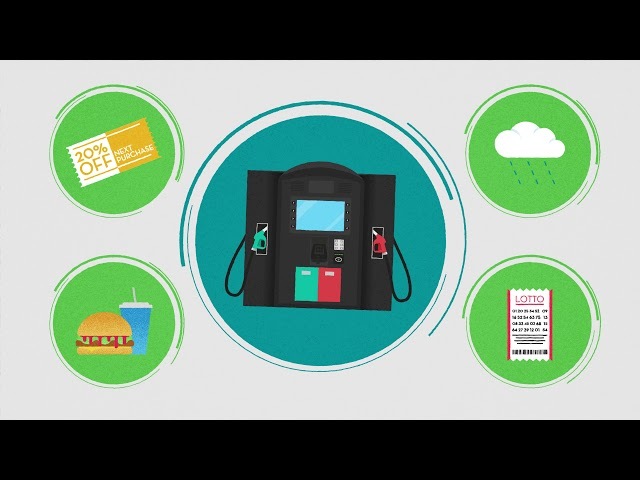 NCR forecourt solutions are EMV-ready, so you’ll be ahead of the game when the liability shift happens in 2020. With larger screens that are touch-enabled, combined with pay-and-go options, your NCR investments will stand the test of time. The OPTIC 5 is a compact, all-in-one forecourt experience solution. With the ability to present unique content that you control across all your locations. Combined with EMV-ready payment options, the OPTIC 5 will transform your customer experience, while driving more business inside your store. Deliver a consistent and engaging customer experience that is unique to your business. With an unprecedented open platform, the OPTIC 12 gives you the flexibility to create your own custom content that speaks to your unique customers’ needs. Reward loyal customers at the pump through custom promotions and loyalty programs. With our open platform technology, NCR forecourt solutions make it easy for you to create and integrate these programs directly into your retail experience. And with the added technology of scanners and NFC chips, you can lay the foundation for true omni-channel retailing. Get the most out of the forecourt with the all-in-one solution for outdoor fuel retailing. NCR helps you do it all – drive in-store purchases, increase loyalty through personalized custom content, prepare for the requirements of EMV and new payment adoption. NCR is a global leader in omni-channel solutions, turning everyday interactions with businesses into exceptional experiences. Our forecourt solutions combine innovative NCR software with industry-leading hardware to create unrivaled experiences for retail gas stations. 6 in 10 consumers pump and leave. In-store transactions increase on average by $0.25 per transaction. The amount of additional revenue to your store for every 1000 ads you run on each OPTIC investment.